While the team is hard at work on tuning the new cannon changes that were previously discussed, we've got one more Holiday treat for all you Officers and sea dogs -- two new vessels will soon be making berth in ports throughout the Caribbean! The Trydent fourth rate with its merman figurehead. The Nemean lion graces this sloop-of-war's prow. Joining the Trydent on the waves is the new Nemea sloop-of-war! This fast and sleek hunter armed with a 12 pound bronze cannon gun deck has the power to threaten larger vessels and the speed to make her a difficult foe on the open sea. 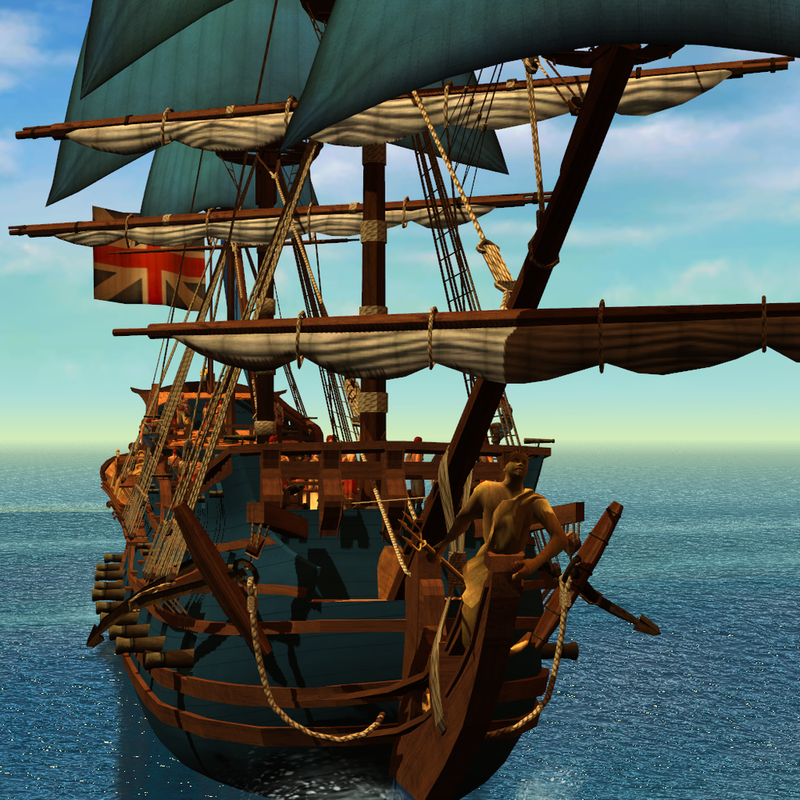 The Nemea sloop-of-war will be available to players of all careers level 25 and above. We currently expect to release our next update with these ships at midnight PST on Monday, Dec. 23 (8 AM GMT Tuesday, Dec. 24). Stay tuned to PortalusGames.com for the latest information about PotBS updates and other developments. Happy holidays and fair winds to you all!